At Bear Paw Lodge, we offer quiet, comfortable, and affordable on-site Cabins and off-site Vacation Homes at beautiful Vallecito Lake just a few miles from Durango, Colorado for your next vacation get-away to the Rocky Mountains. Be sure to check out our Availability Calendar to see what dates are open, and then Contact Us by phone or email to book your reservation. If you would prefer to book online, simply go to our online Booking app. For more information, check out our Policies, Maps, and Comments. There are so many great Activities to enjoy in Southwest Colorado, you might need to extend your vacation for a few more days. We are in a very unique and beautiful area in the San Juan Mountains. 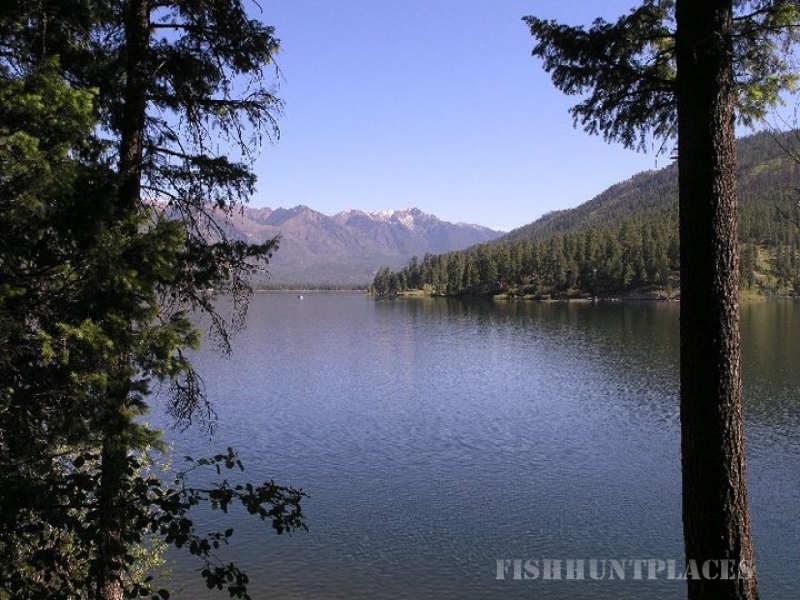 The Vallecito valley is completely surrounded by national forest and wilderness area. Anywhere you stay when here, you are close to hunting and fishing opportunities. We are located in game management area 751 but we are close to areas 75, 77 and 771. All Mule Deer tags for these areas are only available through drawing (applications due by early April). 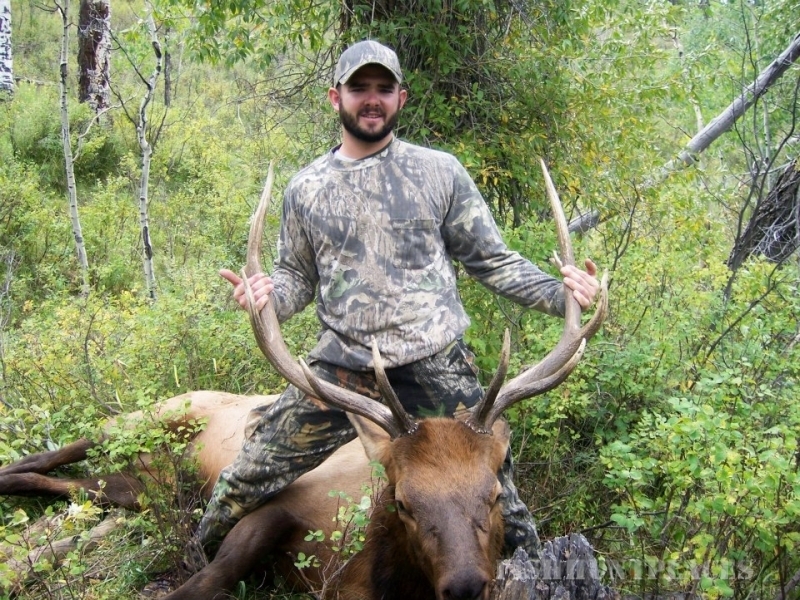 Elk archery, second and third seasons are available over the counter. Elk muzzle loader, first and fourth seasons are also only through the draw system. This area has many Elk and although not known as a trophy area, we still take a lot of nice bulls and cows. This is truly a demanding area to hunt and hunters are advised to be in good physical shape. We do have some easy areas and even some "road hunt" areas but Elk are usually where you don't want to go. Mule Deer are a different story. This area is known for its monster muley bucks. The Deer usually migrate to lower elevations earlier than the Elk but many 'monster bucks' are harvested in this valley every year. By 'monster', I mean over 30 inches wide! This area also has great opportunities for small game, fishing and water fowl. We boast a large population of Meriam Turkey, Coyote, Bear, Ducks and Geese. 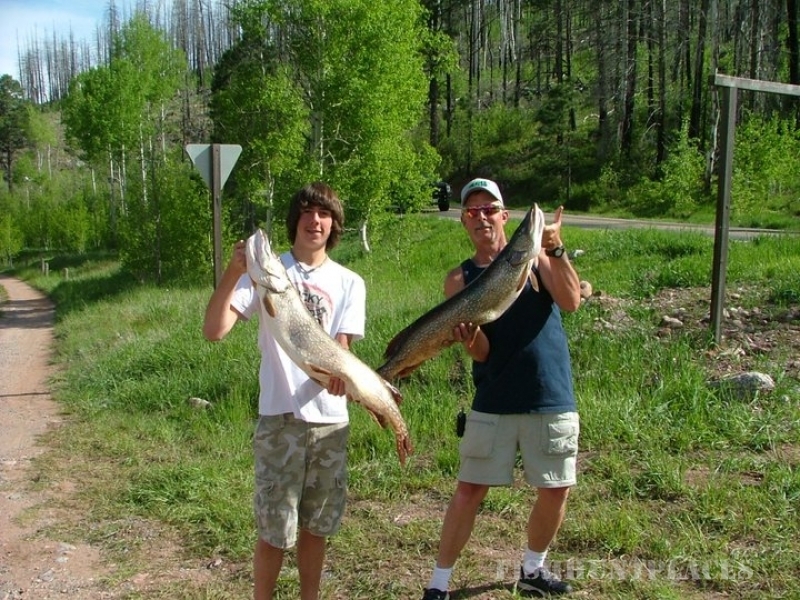 Vallecito has excellent fishing for Trout, Pike, Small Mouth Bass and even a few Walleye. Sometimes hunting for Blue Grouse, Snowshoe Hare and Squirrels can be good depending on their cycles and the amount of predators in the area. You might even get to see the occasional Bobcat or Mountain Lion.